Janice Rae Bieker (Ellsworth) Yarbrough was born on May 9, 1948 in Pocatello, Idaho to Ralph Bieker and Raydella (Garvin) Bieker. She was raised in Pocatello and attended Pocatello High School. She was an accomplished drummer in the marching band. She was a talented musician and enjoyed playing the organ. She was an avid fisherwoman. She would travel everywhere to fish. She loved all animals but particularly loved her cats. Janice worked for Portneuf Medical Center and loved her association with her co-workers and the patients she got to know. She had also worked previously for Beacon which later became Safe Haven. The residence there loved her so much. Janice was a very kind and compassionate person to everyone and everything. She was a member of the Church of Jesus Christ of Latter-day Saints. Janice married Timothy Joe Ellsworth and together they had four children, Jenette, Tabra, Kyle and Jaron. The marriage with Tim later ended in divorce. Then she married Michael Yarbrough and then a few years ago this marriage ended in divorce. She remained loving and supportive to her wonderful family, especially her grandchildren. Janice was preceded in death by her parents; a daughter, Tabra Ellsworth Cruz; and a sister, Sheila Simmons. She is survived by her children; Jenette Ellsworth of South Carolina, Kyle (Illa) Ellsworth of Pocatello, Jaron (Mindy) Ellsworth of Pocatello; sisters Kathy King of Pocatello, Rita (Max) Stucki of North Carolina; a brother Michael (Debbie) Bieker of Boise; grandchildren, Devin, Haylianne, Nicky, Nate, Anna, Aralynn, Nalita and Sariah and numerous nieces and nephews. 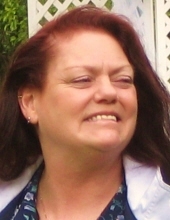 Janice passed away Feb. 6, 2019 following an illness at Portneuf Medical Center. Honoring her wishes, Janice will be cremated. Interment will be at Restlawn Memorial Gardens. The date and time for the graveside is pending but will be posted here once the graveside is planned. Please share memories, condolences and photographs on Janice’s tribute wall. To send flowers or a remembrance gift to the family of Janice Rae Bieker Ellsworth Yarbrough, please visit our Tribute Store. "Email Address" would like to share the life celebration of Janice Rae Bieker Ellsworth Yarbrough. Click on the "link" to go to share a favorite memory or leave a condolence message for the family.